I have been needing some quick and easy card sets lately, so I decided to create one using the Hero Arts set Fantastic Birthday. To create some more cohesiveness between the cards, I kept the same color scheme and played around with a few different masking techniques! 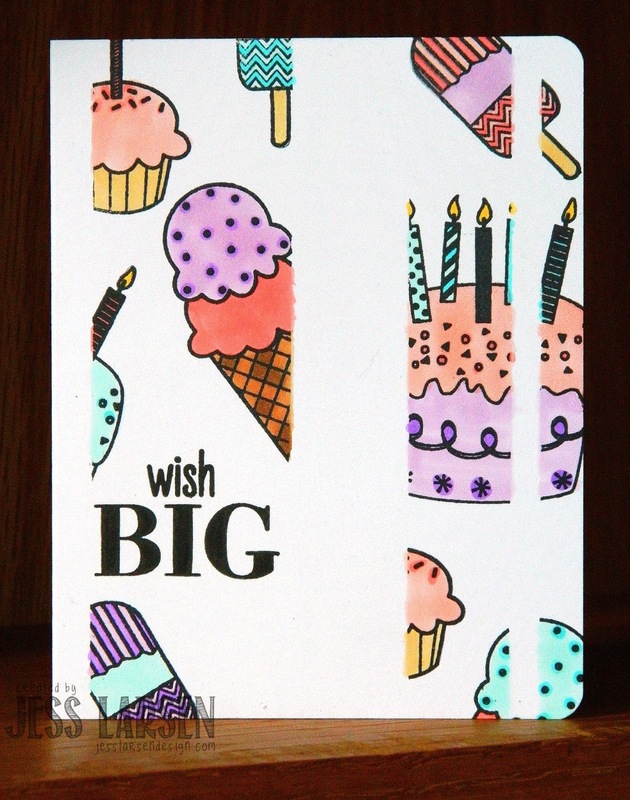 For the "Wish Big" card, I cut some Eclipse masking paper into different sized strips and arranged them onto the card. You could definitely use post-it's or typing paper for this as well. It's just important that the paper is thin enough for your stamp to lay down evenly. I stamped the sentiment first, and then arranged the sweet treats around it. I colored them in with some copics and lifted up the masking paper! For this card, I actually stamped my sentiment first, then laid a strip of masking paper over it and stamped my treats. 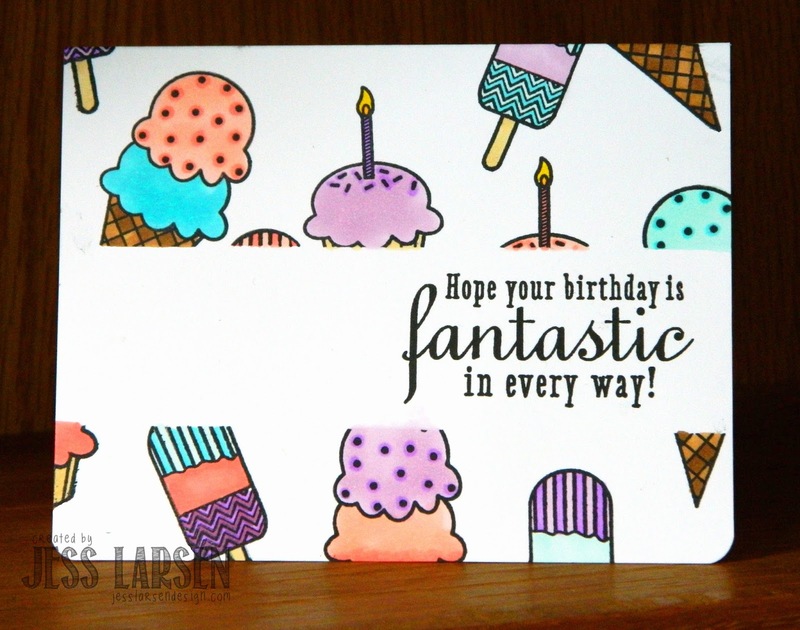 This is a fun way to draw extra attention to the sentiment and is an especially fun technique to use with the many great background stamps that Hero has! This is probably my favorite of the bunch. 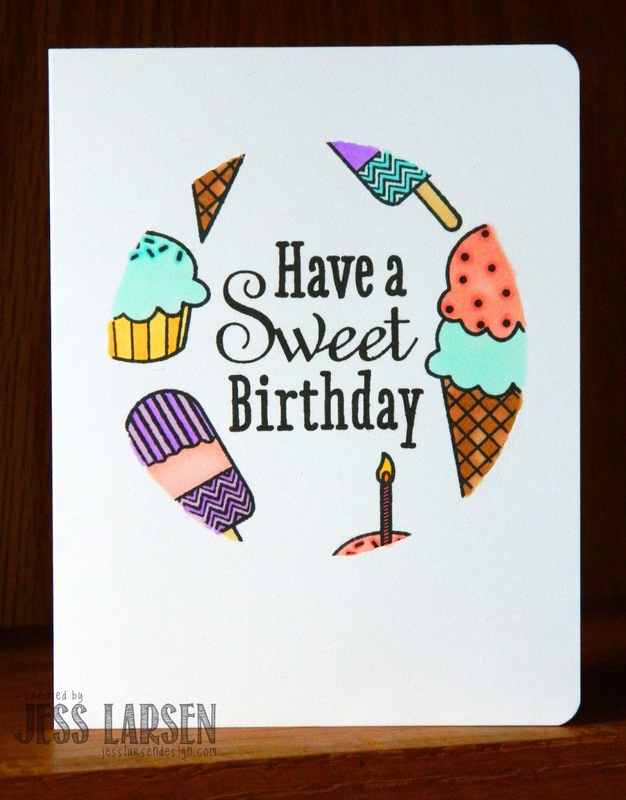 For this card, I die cut a circle from some masking paper and centered it onto my card front. I simply stamped my images and sentiment inside, careful to go around the edges to highlight the fact that it was a circle shape. I think this technique should be called "Spotlight Masking" because it seems like a spotlight is shining on the center of your card! That's all for me today! I am so happy to be back and can't wait for our challenge on the 15th. Today's cards may or may not have offered a little hint at things to come! :-) Thanks for stopping by and see you soon!